I hate seafood. I don’t like the smell, texture, taste or anything else related to fish. It’s one of my cardinal rules of eating: I do not eat animals that live in and or breath water. I also refuse to eat anything that grows between my toes, but let’s save my hatred for fungus and Mushrooms for a different day. I do however, love passion, marketing, Food and people and when I meet people like Kevin and Rudi from Otaku Marketing, it’s easy to get me excited to talk about Seafood. Otaku Marketing is a marketing and small business development firm built on creativity and passion. As a person with similar enthusiams, I was immediately engaged when I first met these two. The subject? The first ever NY Oyster Week! Details will be revealed soon but let me tell you, if you love Oysters, you’re going to want to be a part of what these guy roasting. We had some business to chat and as a peace offering, they suggested we meet over a Burger. That’s when I pulled up a recent post on Timeout entitled “the best new Burgers,” picked one and the lunch meeting was confirmed. French Culinary Institute graduate and native Mexico City boy Julian Medina has been gracing the plates of New York restaurants after he was lured there by Chef Richard Sandoval. After helping to put both Maya and SushiSamba on the list of restaurants everyone knows, he opened up his first venture, Toloache, in 2007. Since then, it’s as if YB & Co, his company is spawning new restaurants as if they were Mogwais’ being sprayed by a water hose. 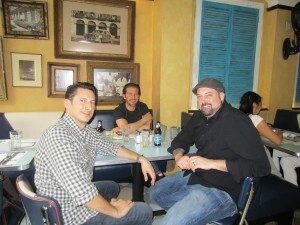 His latest creation, the 24 hour, Latin food diner. 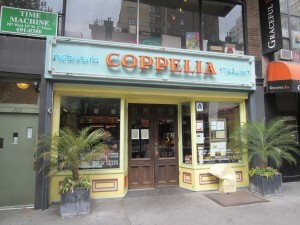 The menu seems never ending, arguably a key aspect of a proper New York Diner, but all with a Cuban “sabor.” The Latin theme continues though Coppelia’s drink menu which offers a number of Latin Beers and inspired Cocktails. If you’re like me, you love it when a Chef gives a spin to something as classic as a Hamburger. I mean really, how many times can you be totally Burgerisfied with just a Bun, Cheese, Lettuce and Beef? At Coppelia, Chef Medina offers the “Frita Cubana” a Ground Sirloin Patty, Chicharron, Lettuce, Cheddar and ROASTED PORK! It’s hard to describe the influence here. 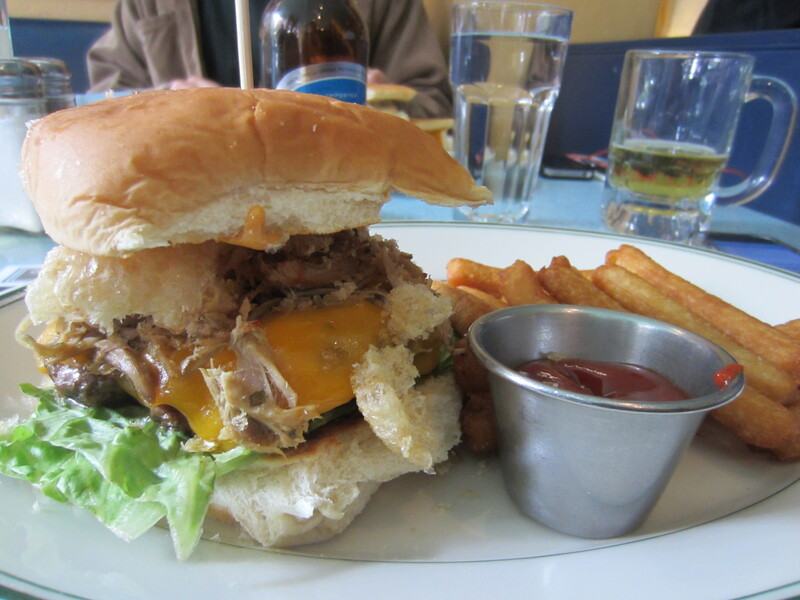 Is it a Burger disguised a Cuban Sandwich or is it a Cuban Sandwich making sweet, sweet love to a Burger? Who cares? It’s GREAT! 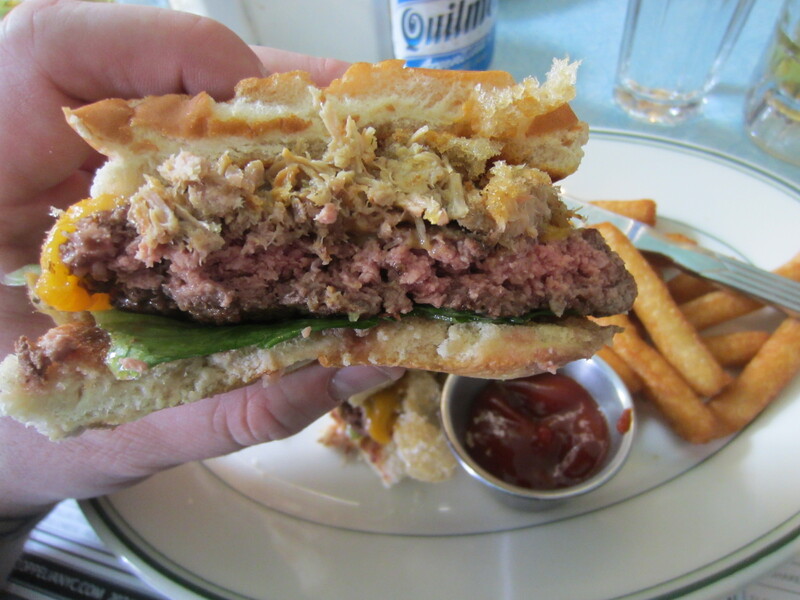 What really sets this Burger apart are the Chicharron’s which you may be more familiar with as a Pork Rind. I loved the crunch it brought to the Sandwich and I have to say, it’s some next level love for Sandwich making to put them on the top while the Lettuce goes on the bottom. I’d have preferred Swiss Cheese and a shmear of Mustard on this but it certainly doesn’t need either to be good. If you’re looking to try one out for yourself, show up any time other than Breakfast, when it’s not on the menu. If you’re Burger palette needs a Latin upgrade, be sure to try the Frita Cubana at Coppelia and be sure to order the Yucca fries over any other side Potato option. 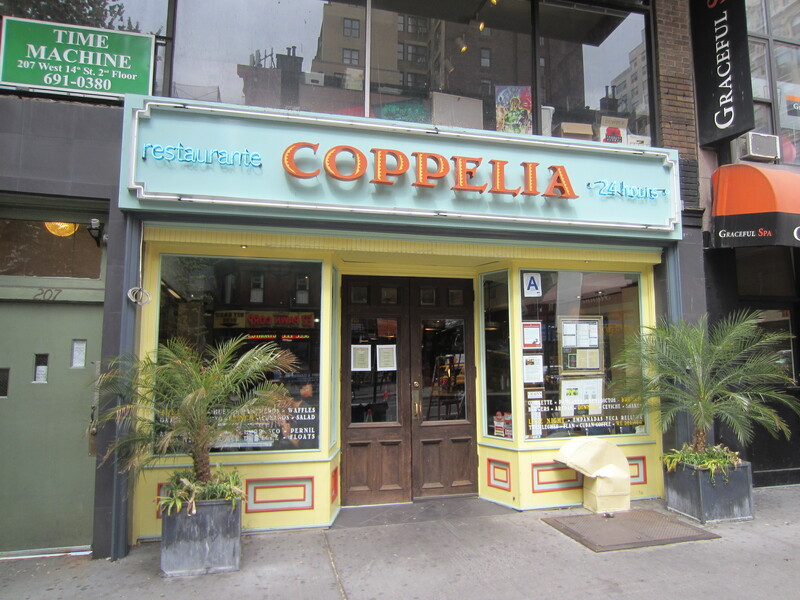 Coppelia scores a 7 on The Rev Meter. This entry was posted in Beer, Burgers, Gourmet Burgers, Hamburgers, New York and tagged best burger nyc, burger conquest, cheese, ciancio, coppelia, french fries, frita cubana, hamburger, julian medina, new york, ny, ny oyster week, nyc, otaku marketing, rev, review, the rev meter for social community. Bookmark the permalink.